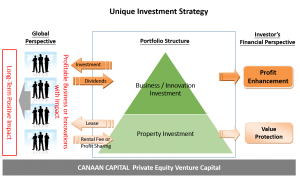 Series of TXI funds, issued by Canaan Capital, are under custodian and administered by DBS Bank. (A) Integrate Israel Tech with Global Companies to base in Taiwan for Asia Market: The vision of TXI Funds is to integrate disruptive technology from Israel with global funding / resources from international companies to base in Taiwan for market testing, product integration and as gateway for Asia market. TXI Funds will not only joint venture with foreign companies, but also provide local resources to develop Taiwan market as base, then expand to other Asian countries. (B) JV with Global Companies & Accelerate Startups: Although TXI Funds are joint venture with global companies, but will use its arms and resources to accelerate startups by feeding market demands and business opportunities, which proves to be more important before investing in startups. 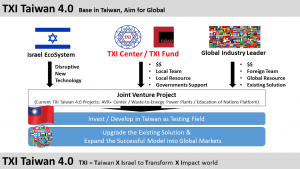 (C) Focus on Business with Global Impact: Although TXI Funds are always starting from developing Taiwan market, it always aims for global impact. Taiwan market is the mirror of global market, if a business model or a product / service can be successful in Taiwan, it will usually be successful in global market. (D) Current Areas of Investment: Currently, TXI Funds focus on following areas of investment by leveraging strong resources from CANAEON Group : Education / Education Technology, Eco-Economy / Sustainable Energies, AR/VR, Elderly Care, FinTech. TXI Funds invest in global impact projects which not only meaningful, but also profitable with steady cash income as well as capital appreciation and value protection. TXI Funds put risk management, value protection and cash flow balance in higher priority, rather than pursuing risky and speculating projects. 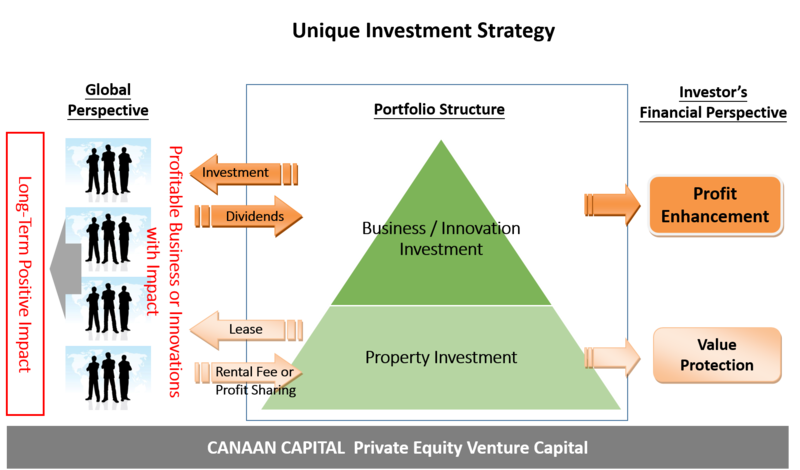 TXI Funds use some property investment as value protection, and package property with new purpose to create cash flows and added values. TXI Funds will use its projects to help investors grow investors’ own business for synergy.